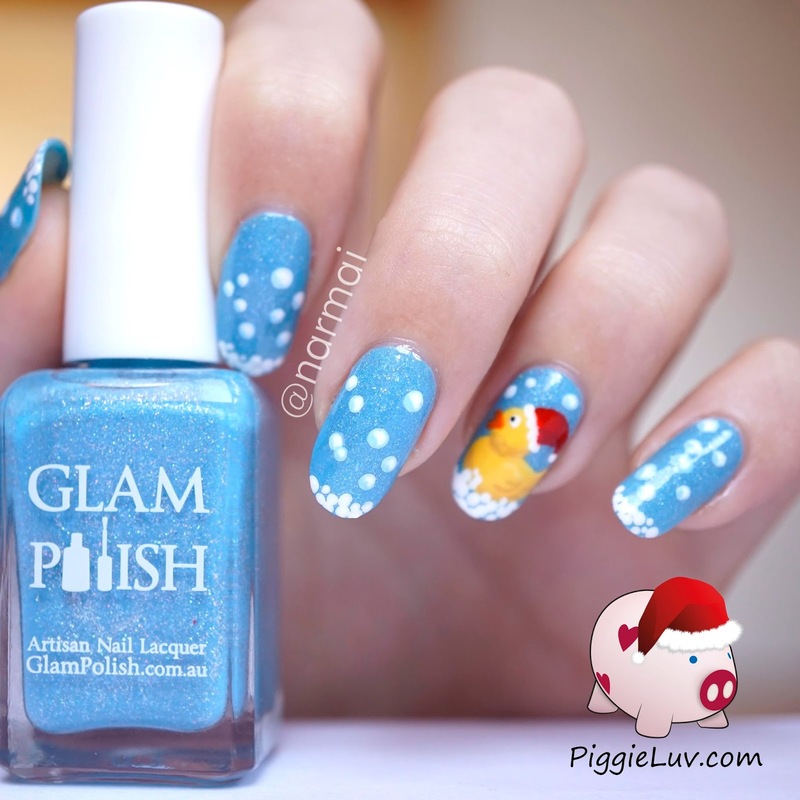 PiggieLuv: Rubber ducky nail art with Santa hat for Christmas! 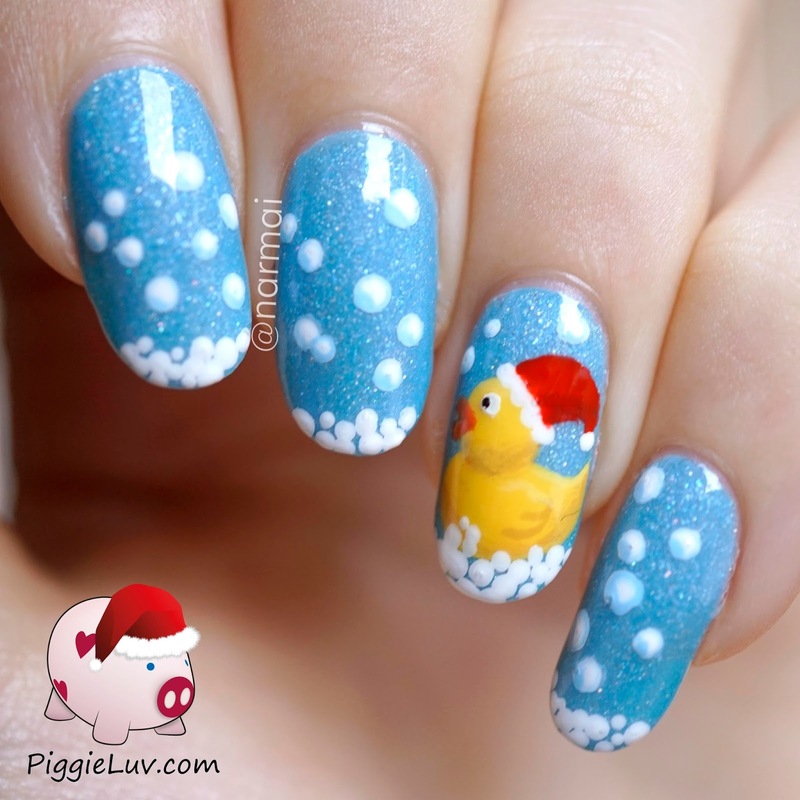 Rubber ducky nail art with Santa hat for Christmas! Hey!! 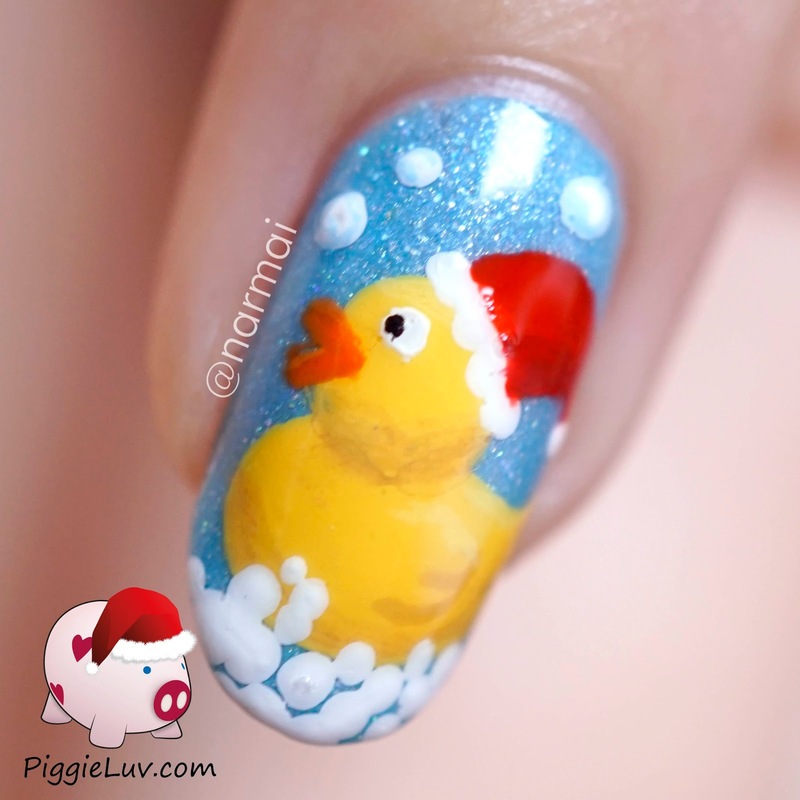 I was looking for a whimsical Christmas design and I saw this rubber ducky by Pretty Quirky and she gave it a Santa hat! So adorable! Click to see more! Isn't he so cute? I know my designs have been super simple lately, I've been busy and I know I need to challenge myself more. My best stuff comes from ideas that will never work, but when they do.... ahhhh amazingness! I have a super simple design in mind for Christmas, something classy and sparkly but not too flashy. You'll have to wait and see!!! The base polish for this nail art is Glam Polish Break The Ice, which is a store exclusive for Hypnotic Polish. I painted everything with acrylic paint and my Basic One Gold detail brush & dotting tool from Christrio Scotland. If you want to know more about the brushes I use, be sure to check out my Behind The Nail Art series post on brushes!